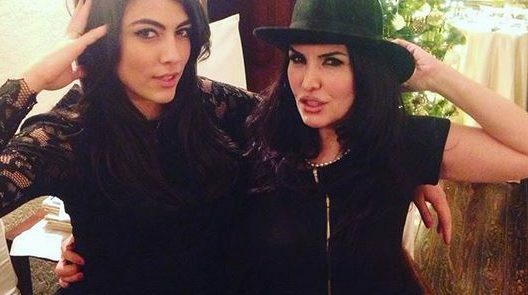 REALITY/ TALENT UOMINI E DONNE ZAPPING	Nessun commento M.
LA SORPRESA DI FRANCESCO MONTE PER IL COMPLEANNO DELLA FIDANZATA GIULIA SALEMI, CHE AL RISTORANTE HA TROVATO AD ACCOGLIERLA UNA SCHIERA DI AMICI ED EX INQUILINI “VIP”..
INSTAGRAM REALITY/ TALENT UOMINI E DONNE	I commenti sono chiusi M.
REALITY/ TALENT UOMINI E DONNE ZAPPING	I commenti sono chiusi M.
GOSSIP INSTAGRAM REALITY/ TALENT UOMINI E DONNE ZAPPING	I commenti sono chiusi M.
“GF 16”: FARIBA TEHRANI, LA MAMMA DI GIULIA SALEMI, NELLA “CASA” COME CONCORRENTE? 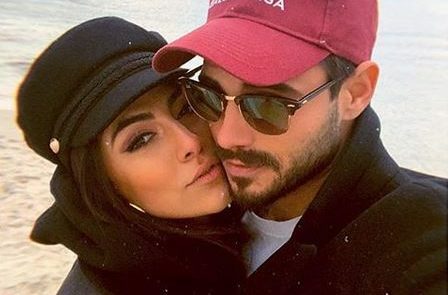 INSTAGRAM REALITY/ TALENT	I commenti sono chiusi M.
“GRANDE FRATELLO VIP 3”: FRANCESCO MONTE E GIULIA SALEMI IN POSA NELLO SCATTO DI FAMIGLIA CON LA MAMMA DI LEI, FARIBA TEHRANI.. 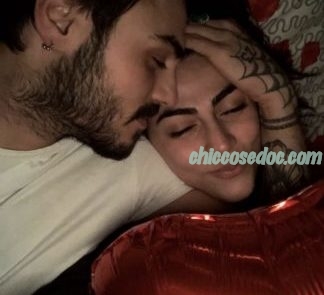 GOSSIP INSTAGRAM REALITY/ TALENT UOMINI E DONNE	I commenti sono chiusi M.
“GRANDE FRATELLO VIP 3”: FRANCESCO MONTE STUPISCE CON SCRITTE E PALLONCINI LA FIDANZATA GIULIA SALEMI, PER IL LORO PRIMO “SAN VALENTINO” INSIEME..
“GRANDE FRATELLO VIP 3”: FRANCESCO MONTE UFFICIALIZZA CON L’ATTESO “TI AMO” IL SUO NUOVO INIZIO CON L’EX COLLEGA DI REALITY, GIULIA SALEMI..
“GRANDE FRATELLO VIP 3”: IL CAPODANNO, IN COPPIA, DEI FINALISTI E NON SOLO..
M. su “ISOLA DEI FAMOSI 14”: LA SFILATA DEI DUE FINALISTI A “VERISSIMO”, MARCO MADDALONI E MARINA LA ROSA, CON LA COPPIA JEREMIAS RODRIGUEZ E SOLEIL SORGE’ E L’INVIATO ALVIN..
Lady G. su “ISOLA DEI FAMOSI 14”: LA SFILATA DEI DUE FINALISTI A “VERISSIMO”, MARCO MADDALONI E MARINA LA ROSA, CON LA COPPIA JEREMIAS RODRIGUEZ E SOLEIL SORGE’ E L’INVIATO ALVIN..
Lady G. su “ISOLA DEI FAMOSI 14”: I 5 NAUFRAGHI DICONO ADDIO A “CAYO PALOMA”, CONCLUDENDO LA LORO AVVENTURA IN HONDURAS..